IMPORTANT — READ THIS CAREFULLY BEFORE CONTINUING! By clicking on the “AGREE” button in our website, you indicate your acceptance of the following Terms and Conditions. These Terms are not applicable to any other web page operated and/or owned by any entity other than Federation, including, but not limited to, any website, mobile application, blog, forum, or other material operated by any third party identified on the Web Properties. When visiting these third-party websites, you should refer to the terms and conditions in effect for the applicable owner. PLEASE READ THESE TERMS CAREFULLY, AS THEY INCLUDE IMPORTANT INFORMATION ABOUT YOUR LEGAL RIGHTS, REMEDIES, AND OBLIGATIONS. BY ACCESSING THE SITE OR USING THE WEB PROPERTIES, YOU ARE ENTERING INTO A LEGAL CONTRACT WITH FEDERATION REGARDING YOUR USE OF AND PARTICIPATION IN THE WEB PROPERTIES. BY ACCESSING OR USING THE WEB PROPERTIES, YOU AGREE TO BE BOUND BY OF THESE TERMS AND ALL ADDITIONAL TERMS INCORPORATED BY REFERENCE. IF YOU DO NOT AGREE TO ANY PORTION OF THESE TERMS, YOU SHOULD NOT ACCESS OR VISIT THE SITE OR OTHERWISE USE OR PARTICIPATE IN THE WEB PROPERTIES. 1. INFORMATION ONLY. The Web Properties are provided to you as a convenience, for your information only. By merely providing access to the Web Properties, we do not warrant or represent that: (a) any materials, documents, images, graphics, logos, design, audio, video, and any other information provided from or on the Web Properties (collectively, the “Content”) is accurate or complete; (b) the Content is up-to-date or current; (c) we have any obligation to update any Content; (d) the Content is free from technical inaccuracies or programming or typographical errors; (e) the Content is free from changes caused by a third party; (f) your access to the Web Properties will be free from interruptions, errors, computer viruses or other harmful components; (g) any information obtained in response to questions asked through the Web Properties is accurate or complete; and/or (h) the Content is non-infringing of any third party’s intellectual property rights. 2. WEB PROPERTIES USE AND CONTENT. You may view, copy or print a single copy of any page from the Web Properties for personal, non-commercial purposes if you do not remove, modify, or alter any copyright and proprietary rights notices that may be present. You may not otherwise use, modify, copy, print, display, distribute, publish, or sell any information from the Web Properties without our express, prior, written consent. YOU MAY NOT USE ANY WEB PROPERTY FOR ANY COMMERCIAL USE. Any special rules for the software, audio files, video files, downloads, and other items accessible through the Web Properties may be included elsewhere in on the Web Properties and are incorporated into these Terms by reference. 3. UPDATES. We may make changes to the Web Properties, the Content, the User Content and/or these Terms, and/or stop providing any of the Web Properties and/or the Content, at any time and without further notice to you. We will make an effort to update this web page with any changes to these Terms and you are encouraged to review these Terms frequently (the date of the most recent revision to these Terms appears at the end of these Terms). 4. PRIVACY. We know that privacy is very important to you, and it is very important to us as well. By providing us with your email address or other contact information, you consent to receiving electronic communications from us. We will communicate with you by email or by posting notices on our Web Properties. You agree that all agreements, notices, disclosures and other communications that we provide to you electronically satisfy any legal requirement that such communication be in writing. Personal data that you provide regarding yourself will be handled in accordance with our Privacy Notice located at Privacy Notice. 5. OBJECTIONABLE MATERIAL. You acknowledge that in using the Web Properties and accessing the Content and/or the User Content, you may encounter material that you deem to be disturbing, offensive or objectionable. You agree to use the Web Properties at your sole risk, and we will have no liability to you for material that may be disturbing, objectionable or offensive to you. (a) USER ACCOUNT. To access certain types of features, the Content, and the User Content available through the Web Properties and/or to purchase Federation products or services, we may require the use of a username and password after setting up a User Account. You must be eighteen (18) years of age to create a User Account and use the Web Properties. We use reasonable precautions to protect the privacy of your username, password, and User Account information. You, however, are ultimately responsible for protecting your username, password, and User Account information from disclosure to third parties, and you are not permitted to circumvent the use of required encryption technologies. You agree to: (i) immediately notify Federation of any unauthorized use of your username, password, or User Account, or any other breach of security; (ii) ensure that you exit from your User Account at the end of each session; and (iii) use a security passcode to secure your device where your User Account information is stored. While we provide certain encryption technologies and use other reasonable precautions to protect your confidential information and provide suitable security, we do not and cannot guarantee or warrant that information transmitted through the Internet is secure, or that such transmissions are free from delay, interruption, interception, or error. (b) ACCURATE INFORMATION. In creating and using your User Account, you agree to: (i) provide true, accurate, current, and complete information about yourself on any registration form required for the Web Properties (such information being the “Registration Data”); (ii) maintain and promptly update the Registration Data to keep it true, accurate, current, and complete; and (iii) maintain and promptly update payment information to keep it true, accurate, current, and complete. If you provide any information that is untrue, inaccurate, not current, or incomplete, or if we have reasonable grounds to suspect that such information is untrue, inaccurate, not current, or incomplete, then we have the right to suspend or terminate your User Account and refuse any and all current or future use of your User Account, including cancellation of any pending order. 7. USER CONTENT. The Web Properties may now or in the future permit the submission of various types of content submitted by you and other users, such as materials, statements, reviews, ratings, opinions, personal accounts, documents, images, graphics, logos, designs, videos, text files, audio files, and comments, including, but not limited to, in connection with the EqualSpace Challenge (collectively, “User Content”) and the hosting, sharing, downloading, publishing and/or republishing of such User Content. WE DO NOT GUARANTEE ANY CONFIDENTIALITY WITH RESPECT TO ANY USER CONTENT. TO PROTECT YOUR PRIVACY AND THE PRIVACY OF OTHERS, YOU AGREE THAT YOU WILL NOT PROVIDE ANY USER CONTENT THAT CONTAINS PERSONALLY IDENTIFIABLE INFORMATION (SUCH AS NAME, PHONE NUMBER, EMAIL OR MAILING ADDRESS, SOCIAL SECURITY NUMBER, BANK ACCOUNT NUMBERS, ETC.) BELONGING TO YOU OR ANYONE ELSE. UPLOADING IMAGES OR VIDEO OF OTHER PEOPLE WITHOUT THEIR PERMISSION IS STRICTLY PROHIBITED. You will be solely responsible for your User Content, and the consequences of posting or publishing it. We do not endorse any User Content or any opinion, recommendation, or advice expressed therein, and we expressly disclaim any and all liability in connection with User Content. You acknowledge that Federation reserves the right to pre-screen User Content and we have the right (but not the obligation) in our sole discretion to refuse, move, and/or remove User Content that is available on our through the Web Properties. 8. NOT INTENDED FOR CHILDREN. We do not intentionally collect personally identifiable information from any person that we know to be under the age of thirteen (13). Specifically, the Web Properties are not intended or designed to attract children under the age of thirteen (13). You affirm that you are more than eighteen (18) years of age, or an emancipated minor, or possess legal parental or guardian consent, and are fully able and competent to enter into the terms, conditions, obligations, affirmations, representations, and warranties set forth in these Terms, and to abide by and comply with these Terms. In any case, you affirm that you are over the age of thirteen (13), as THE WEB PROPERTIES ARE NOT INTENDED FOR CHILDREN UNDER AGE THIRTEEN (13). (a) NO WARRANTIES FOR WEB PROPERTIES. When using the Web Properties, information will be transmitted in such a way that may be beyond our control. As such, we make no warranty concerning the delay, failure, interruption, or corruption of any data, the Content, the User Content, or other information transmitted in connection with the use of the Web Properties. YOU EXPRESSLY AGREE THAT YOUR USE OF THE WEB PROPERTIES IS AT YOUR SOLE RISK. THE WEB PROPERTIES, THE CONTENT AND THE USER CONTENT ARE PROVIDED “AS IS” AND “AS AVAILABLE” FOR YOUR USE, WITHOUT WARRANTIES OF ANY KIND, EITHER EXPRESS OR IMPLIED, UNLESS SUCH WARRANTIES ARE LEGALLY INCAPABLE OF EXCLUSION. WE MAKE NO REPRESENTATIONS OR WARRANTIES THAT THE WEB PROPERTIES, THE CONTENT, AND THE USER CONTENT, OR ANY SERVICES OFFERED IN CONNECTION WITH THE WEB PROPERTIES, ARE OR WILL REMAIN UNINTERRUPTED OR ERROR-FREE, THAT DEFECTS WILL BE CORRECTED, OR THAT THE WEB PAGES AVAILABLE ON OR THROUGH THE WEB PROPERTIES, OR THE SERVERS USED IN CONNECTION WITH THE WEB PROPERTIES, ARE OR WILL REMAIN FREE FROM ANY VIRUSES, WORMS, TIME BOMBS, DROP DEAD DEVICES, TROJAN HORSES, OR OTHER HARMFUL COMPONENTS. WE DO NOT GUARANTEE THAT YOU WILL BE ABLE TO ACCESS OR USE THE WEB PROPERTIES AT TIMES OR LOCATIONS OF YOUR CHOOSING, OR THAT WE WILL HAVE ADEQUATE CAPACITY FOR THE WEB PROPERTIES AS A WHOLE OR IN ANY SPECIFIC GEOGRAPHIC AREA. WE MAKE NO REPRESENTATION OR WARRANTY REGARDING GOVERNMENT COMPLIANCE OF ANY SOFTWARE USED IN RUNNING THE WEB PROPERTIES. (b) INDEMNIFICATION. You agree to defend, indemnify, and hold harmless Federation and our directors, officers, employees, and agents from and against any and all claims, demands, suits, proceedings, liabilities, judgments, losses, damages, expenses, and costs (including, but not limited to, reasonable attorneys’ fees) assessed or incurred by us, directly or indirectly, with respect to or arising out of: (i) your failure to comply with these Terms; (ii) your breach of your obligations under these Terms; (iii) your use of the rights granted hereunder, including, but not limited to, any claims made by any third parties; and/or (iv) any claim that any User Content that you submit caused damage to a third party. 10. LIMITATION OF LIABILITY. IN NO EVENT WILL WE OR OUR PROVIDERS, LICENSORS OR SPONSORS BE LIABLE FOR ANY DIRECT, INDIRECT, INCIDENTAL, SPECIAL, EXEMPLARY, PUNITIVE, OR CONSEQUENTIAL DAMAGES ARISING FROM YOUR USE OF OR INABILITY TO USE THE WEB PROPERTIES AND/OR ANY CONTENT AND/OR USER CONTENT PROVIDED IN CONNECTION WITH THE WEB PROPERTIES OR FOR ANY OTHER CLAIM RELATED IN ANY WAY TO YOUR USE OF THE WEB PROPERTIES AND/OR ANY CONTENT AND/OR USER CONTENT PROVIDED AND/OR ANY PRODUCTS PURCHASED THROUGH THE WEB PROPERTIES. ADDITIONALLY, NEITHER WE NOR OUR PROVIDERS, LICENSORS OR SPONSORS WILL BE LIABLE FOR ANY NEGATIVE REPERCUSSIONS TO ANY PARTY BASED ON THE USE OF OR INABILITY TO USE THE WEB PROPERTIES, INCLUDING, BUT NOT LIMITED TO, LOST GOODWILL OR LOST PROFITS. WE WILL BE LIABLE ONLY TO THE EXTENT OF THE GREATER OF: (a) ACTUAL DAMAGES INCURRED BY YOU, NOT TO EXCEED THE AMOUNT THAT YOU ACTUALLY PAID TO FEDERATION FOR GOODS OR SERVICES IN THE PRIOR SIX (6) MONTHS, IF ANYTHING, OR (b) $100 (US). NEITHER WE NOR OUR PROVIDERS, LICENSORS OR SPONSORS WILL BE LIABLE FOR ANY PERSONAL INJURY, INCLUDING DEATH, OR PROPERTY DAMAGE CAUSED BY YOUR USE OR MISUSE OF THE WEB PROPERTIES, THE CONTENT, THE USER CONTENT AND/OR ANY PRODUCTS, OR FOR YOUR PARTICIPATION IN THE EQUALSPACE CHALLENGE. REMEDIES UNDER THESE TERMS ARE EXCLUSIVE AND ARE LIMITED TO THOSE EXPRESSLY PROVIDED FOR IN THESE TERMS. BECAUSE SOME STATES OR JURISDICTIONS DO NOT ALLOW THE EXCLUSION OR LIMITATION OF LIABILITY FOR CONSEQUENTIAL OR INCIDENTAL DAMAGES, IN SUCH STATES OR JURISDICTIONS OUR LIABILITY WILL BE LIMITED TO THE GREATEST EXTENT PERMITTED BY APPLICABLE LAW. 11. THIRD PARTY CONTENT AND THIRD PARTY APPLICATIONS. We may provide hyperlinks to other websites maintained by third parties, or may provide third party content on the Web Properties by framing or other methods (collectively, “Third Party Content”). In addition, the Web Properties may include certain applications, features, programs and services provided by third parties (collectively, the “Third Party Applications”). We do not monitor Third Party Content or Third Party Applications and can make no guarantee as to the accuracy or completeness of such Third Party Content or Third Party Applications. THE LINKS TO THIRD PARTY WEBSITES, ANY THIRD PARTY CONTENT, AND ANY THIRD PARTY APPLICATIONS ARE PROVIDED FOR YOUR CONVENIENCE AND INFORMATION ONLY. THE CONTENT ON ANY LINKED WEBSITE OR IN ANY THIRD PARTY APPLICATION IS NOT UNDER OUR CONTROL AND, JUST AS WITH THE WEB PROPERTIES, WE ARE NOT RESPONSIBLE FOR THE CONTENT OF LINKED WEBSITES AND/OR THIRD PARTY APPLICATIONS, INCLUDING ANY FURTHER LINKS CONTAINED IN A THIRD PARTY WEBSITE. WE MAKE NO REPRESENTATIONS OR WARRANTIES IN CONNECTION WITH ANY THIRD PARTY CONTENT OR THIRD PARTY APPLICATIONS, WHICH AT ALL TIMES AND IN EACH INSTANCE IS PROVIDED “AS IS” AND “AS AVAILABLE”. THIRD PARTY APPLICATIONS MAY BE SUBJECT TO ADDITIONAL TERMS AND CONDITIONS OR AGREEMENTS BETWEEN YOU AND THE PROVIDER OF SUCH THIRD PARTY APPLICATIONS AS MAY BE PROVIDED TO YOU IN CONNECTION THEREWITH, AND YOU AGREE TO FULLY COMPLY WITH ALL SUCH ADDITIONAL TERMS, CONDITIONS AND AGREEMENTS. IF YOU DECIDE TO ACCESS ANY OF THE THIRD PARTY WEBSITES LINKED TO THE WEB PROPERTIES, ANY THIRD PARTY CONTENT, AND/OR ANY THIRD PARTY APPLICATION, YOU DO SO ENTIRELY AT YOUR OWN RISK. If a third party should link to or refer to any of the Web Properties, it is not necessarily an indication of an endorsement, authorization, sponsorship, affiliation, joint venture, or partnership by or with us. In most cases, we are not even aware that a third party has linked to or refers to the Web Properties. 12. COPYRIGHT AND TRADEMARKS. Federation is the copyright owner or authorized licensee of all text and all graphics contained in or on the Web Properties. The trademarks, service marks and logos used and displayed in or on the Web Properties are Federation’s, or its affiliates’ or licensor’s, registered and unregistered trademarks. All trademarks and service marks of Federation that may be referred to in or on the Web Properties are the property of Federation, or one of its licensors or affiliates. Other parties’ trademarks and service marks that may be referred to in or on the Web Properties are the property of their respective owners. Nothing in the Web Properties should be construed as granting, by implication, estoppel or otherwise, any license or right to use any of Federation’s, or its licensors’ or affiliates’, trademarks, service marks or copyrights without Federation’s prior written permission. Federation aggressively enforces its intellectual property rights. Neither the name of Federation, its affiliates, nor any of Federation other trademarks, service marks or copyrighted materials may be used in any way, including in any advertising, hyperlink, publicity or promotional materials of any kind, whether relating to the Web Properties or otherwise, without Federation’s prior written permission. (a) Federation will not tolerate copyright infringement and reserves the right to block, disable, or otherwise remove any Content uploaded to or posted to the Web Properties as well as terminate access to the Web Properties if you engage in copyright or other intellectual property infringement. The law provides for civil and criminal penalties for copyright and other intellectual property law infringements. Displaying, performing, storing, copying, distributing, and/or otherwise making available or using any Content from the Web Properties is prohibited, unless specifically authorized by Federation in writing. Accordingly, no such Content may be used on another mobile application or website without express written permission from Federation. Please be sure to include the following information: (i) a description of the copyrighted work that you allege is being infringed (and registration information if such work is registered with the Copyright Office), (ii) the specific location of the allegedly infringing material in or on the Web Properties, (iii) your signature (digital or hard-copy), (iv) your name, address, telephone number, and email address, and (v) a statement (notarized if possible and made under penalty of perjury) that: (A) you are the copyright owner or are authorized to act on behalf of the copyright owner, (B) you believe in good faith that the rights of the copyright owner are being infringed, and (C) the uses of the allegedly infringing material are not authorized (either by the copyright owner, its agents, or applicable law). Once we receive proper notice of claimed infringement under the Digital Millennium Copyright Act (the “DMCA”), Federation will respond promptly to remove the material claimed to be infringing and will follow the procedures specified in the DMCA to resolve the claim between the notifying party and the alleged infringer who provided the content at issue. 14. SUBMISSIONS. Unless you enter into a separate written agreement with Federation and except for submissions to the EqualSpace Challenge (which is subject to its own rules, https://spacegamesfederation.com/rules/, Federation does not claim ownership in any information, software, photos, video, text, graphics, music, sounds, questions, creative suggestions, messages, comments, feedback, ideas, recipes, notes, drawings, articles, stories about you, or any other Content of any kind whatsoever, including, but not limited to, postings in chat rooms, on bulletin boards or otherwise that you upload or post to the Web Properties or that you otherwise submit to Federation (collectively, the “Submissions”). However, by submitting any Submissions in any form to Federation, in addition to other provisions of these Terms, you automatically grant Federation a royalty-free, worldwide, exclusive, and assignable right and license to use, copy, reproduce, modify, adapt, publish, edit, translate, create derivative works from, transmit, distribute, publicly display and publicly perform such Submissions for the purpose of displaying and promoting such Submissions on any mobile application or website operated by, and in any related marketing materials produced by, Federation and its affiliates, successors and assigns. You will not have or obtain any rights in or to any form, media, or technology incorporating any Submissions. You also grant to Federation and its affiliates, successors and assigns the exclusive right to incorporate Submissions into other works in any form, medium or technology now known or later developed, for the full term of any copyrights, trademarks and other intellectual and proprietary rights (collectively, “Rights”) that may exist in such Submissions. You also warrant to Federation that any third party holder of any Rights has validly and irrevocably granted to you the right to grant the rights and licenses set forth above. You further acknowledge that Federation and its affiliates, successors and assigns will be entitled to unrestricted use of the Submissions for any purpose whatsoever, commercial or otherwise. 15. TERMINATION OF SERVICE. We may terminate your right to access portions of the Web Properties at any time, without notice, for conduct that we believe violates these Terms and/or is harmful to other users of the Web Properties, to us, to our partners, to the contributors, to the business of our Internet service provider, or to other information providers. 16. ADDITIONAL REMEDIES. You acknowledge that your conduct that is inconsistent with these Terms may cause Federation irreparable damage for which remedies other than monetary relief may be inadequate. In such instances, you agree that Federation may obtain injunctive or other equitable relief seeking to restrain such conduct without the necessity of proving actual harm or posting a bond. 17. GOVERNING LAW AND JURISDICTION. You agree that all matters relating to your access to, or use of, or participation in the Site or any of the Web Properties will be governed by the laws of the State of California. You agree and hereby submit to the exclusive personal jurisdiction and venue of the state and federal courts in Los Angeles, California, with respect to such matters. 18. LOCAL LAWS. We make no representation that any Content, User Content or other materials on the Web Properties are appropriate or available for use in jurisdictions outside the United States. Access to the Web Properties from jurisdictions where such access is illegal is prohibited. If you choose to access any of the Web Properties from other jurisdictions, you do so at your own initiative and are responsible for compliance with applicable local laws. 19. EXPORT RESTRICTIONS. Any software and all underlying information and technology that you download or view from any Web Property or in connection with the services, including, but not limited to, any information related to the EqualSpace Challenge (collectively, the “Software or Technical Data”) may be subject to U.S. export controls, including the Export Administration Act (50 U.S.C. Appx. §§ 2401 et seq.) and the Export Administration Regulations (50 C.F.R. Parts 730-774), and may be subject to export or import regulations in other countries. You are solely responsible for complying with all trade regulations and laws, both foreign and domestic, in your use, participating in, and viewing of the Web Properties, the Content, the User Content, and any of our products or services, including, but not limited to, any Software or Technical Data. Except as authorized by law, you agree and warrant not to export or re-export the Software or Technical Data to any county, or to any person, entity, or end-user subject to U.S. export controls, including, but not limited to, persons or entities listed on the U.S. Department of Commerce Bureau of Export Administration’s Denied Parties List and the U.S. Department of Treasury’s Specially Designated Nationals. You further represent and warrant that no U.S. federal agency has suspended, revoked, or denied your export privileges. 20. PROVISIONS RELATING TO APPLE. Although you may be able to obtain our App through the Apple Store App and use our App on Apple iPhones, iPods, iPads or other Apple devices, Apple is not responsible for: (a) the content of our App; (b) providing maintenance or support services for our App; (c) any product warranties, whether express or implied by law, or other warranty obligations; (d) any claims, including product liability claims, losses, liabilities, damages, cost, or expenses attributable to any failure of our App to conform to any warranty or failure to conform to any applicable legal or regulatory requirement, or arising out of consumer protection or other similar legislation; and (e) the investigation, defense, settlement and discharge of any intellectual property claim brought by a third party against you or Federation. By agreeing to these Terms and using any of the Web Properties, you acknowledge and agree that you are only using our App on an Apple device that you own or control, and you are using it as permitted by the Usage Rules set forth in the App Store Terms of Service. You further acknowledge and agree that Apple, and its subsidiaries, will have the right (and will be deemed to have accepted the right) to enforce these Terms as a third party beneficiary thereof. You represent and warrant to Apple that (i) you are not located in a country that is subject to a U.S. Government embargo or that is designated as a “terrorist supporting country”; and (ii) you are not listed on any U.S. Government list of prohibited or restricted persons. 21. CUSTOMER COMMENTS. 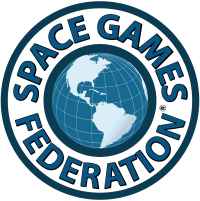 By submitting comments, information or feedback to us through email and/or the Web Properties, you agree that the information submitted will be subject to our Privacy Notice located at https://spacegamesfederation.com/privacy-notice.